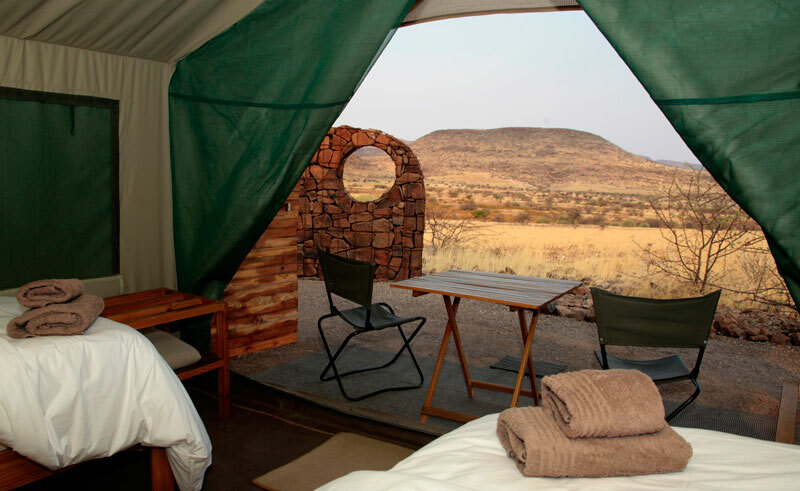 Etendeka was the first tented camp in Namibia. A stay here is perfect for those who want a back to nature experience. 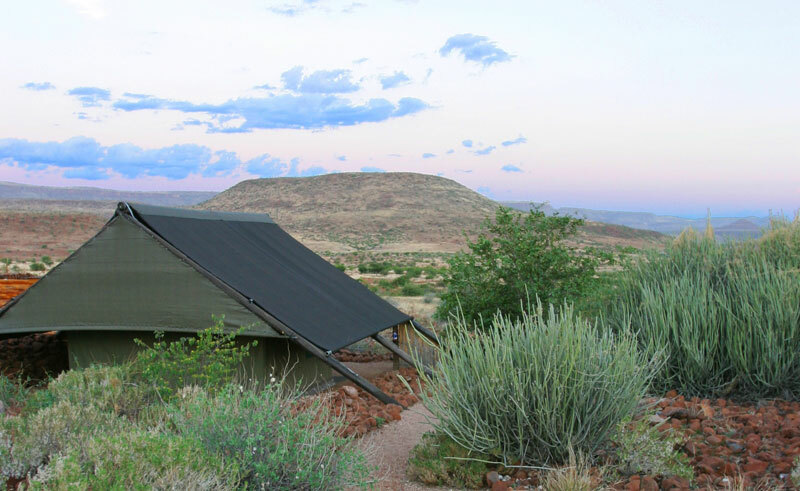 At the foothills of the Grootberg massif, in stunning scenery set amidst the ancient Etendeka lava flows of northern Damaraland, you will find Etendeka Mountain Camp. Here the ancient basalt has been slowly eroded over millennia, leaving scattered boulders lying upon dramatic flat-topped mountains. 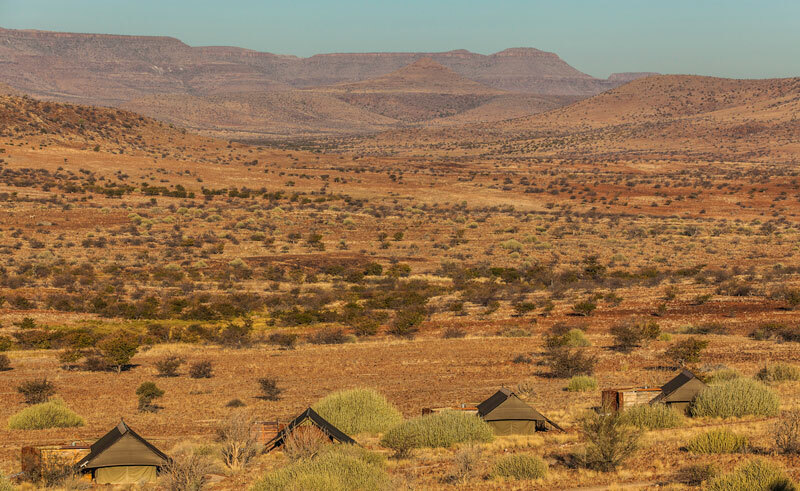 To get here, you will travel to Palmwag Lodge, where you will be picked up and transferred to Etendeka Mountain Camp on a scenic drive (approximately 1-1.5 hours) where you may see wildlife such as elephant, giraffe, kudu, springbok and zebra. 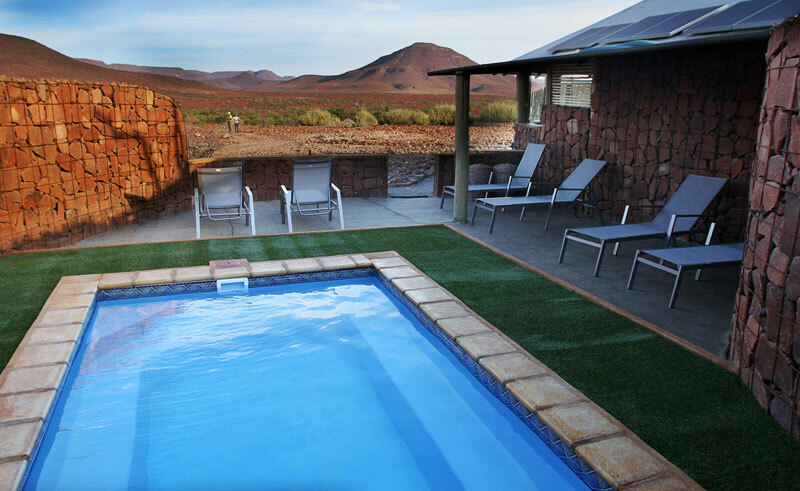 Accommodation at Etendeka is simple but comfortable. 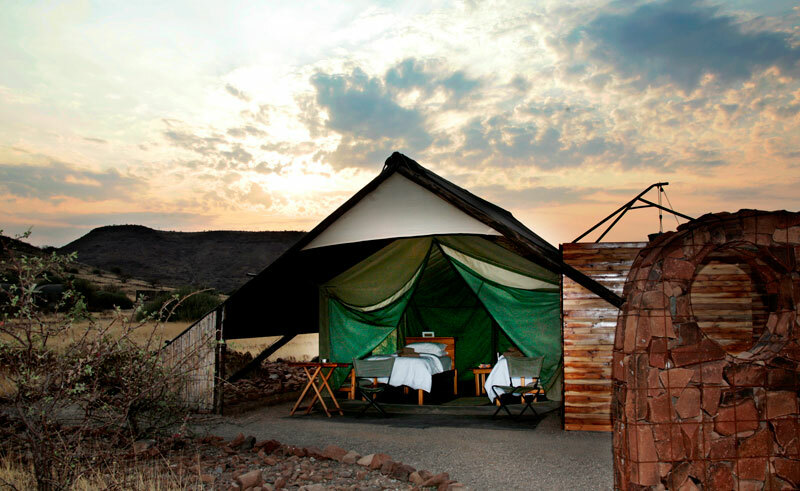 There are 10 Meru tents, all with an open air en-suite bathroom with a flush toilet and bucket shower. The environment is very important to Etendeka and the camp runs exclusively off solar power. Your days here are spent exploring the area on foot and in open game drive vehicles with the exceptionally knowledgeable guides. This is not a fast paced safari, but rather a privileged introduction to an environment that holds many of Namibia’s unique natural attractions. Entendeka’s wilderness inhabitants include many species including elephant, giraffe, rhino, cheetah and lion. The guides here aim to showcase the beauty of this wild place as well as its wildlife.